James “Jimmy” Spencer has been with Harbor Hall for 5 years. Jimmy is married to Leafa with two children and five grandchildren. He was born and raised in northern Michigan and lives currently in Boyne Falls. He has been in recovery for 25 years and is very active in the AA community, attending conferences, workshops, seminars and daily meetings. Many know Jimmy to be a walking-talking BigBook. 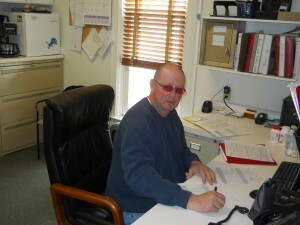 Jimmy manages client needs in the afternoon and evening when clients have concluded their treatment programming. His patience and tolerance is a valuable asset while overseeing 38 clients in our facility.